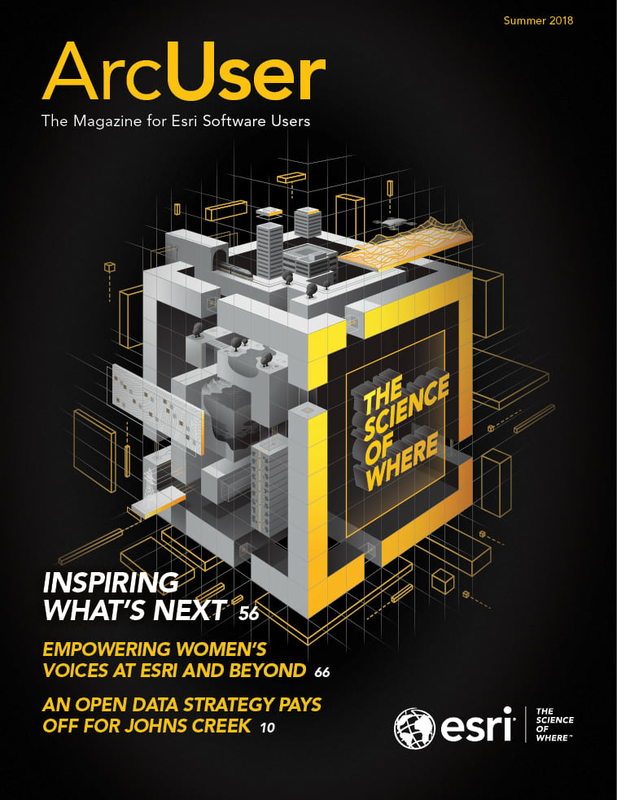 Esri’s ArcGIS Apps for the Field help you complete specific tasks like capturing asset data, navigating to a jobsite, or completing an environmental survey. Individually, each app is powerful, but when they are integrated, you can complete a variety of workflows. 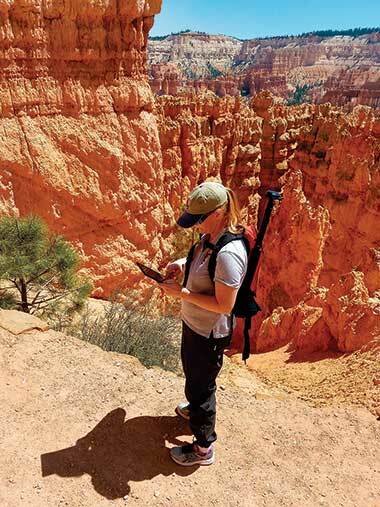 Heidi Ogle, GISP, who works as a GIS specialist for the National Park Service, captures field information in Zion National Park. Photo courtesy of Eos Positioning Systems. App integration comes to life using a custom URL scheme. The scheme is a well-known standard for interapp communication on mobile devices and is already used by Collector for ArcGIS, Explorer for ArcGIS, and Workforce for ArcGIS to remotely control other field apps and pass context to them. Workforce integrates with all Esri field apps. Its user experience supports inter-app communication. As the owner of a Workforce project, you can choose which Esri apps are integrated and how they will work together. By integrating Workforce with other apps, you can maximize the efficiency of your fieldworkers by providing directions and the maps and forms they need to complete their work. For example, the Workforce mobile app can open Collector to perform a hydrant inspection or Survey123 for ArcGIS to complete a water quality survey. Workforce can also pass the location of the new survey or feature to be collected and prepopulate the location description into a text field, the ID, or even the GlobalID of the assignment so that you can streamline the collection process and link the assignment to the newly captured data. App integration within Workforce is achieved by creating a URL scheme for each point of integration and storing that scheme in the project JSON file. Workforce handles this for you, but you can also create and alternate URL schemes and modify the app integration in your Workforce project. Display directions to a single location. Specify a custom start point. Generate directions to multiple stops. Enable notifications when navigation completes. See the documentation in the Esri GitHub repository navigator-integration, which describes this integration in detail. Open a specific Survey by itemid. Pass location for a geopoint question. Pass predetermined answers to questions. A GeoNet blog post, “Using App Links to Launch Survey123 from Explorer for ArcGIS,” provides a step-by-step tutorial for integrating Survey123 and Explorer. When dropping a pin on the map or from the pop-up details of a selected feature, you can ask Explorer for directions. By default, Explorer will provide a menu of navigation apps that are installed on your device that can be remotely controlled. Using settings, you can alter that list so that it always launches your favorite navigation app. Similarly, by using the Explorer URL scheme in your app, website, email, or text message, the recipient can open Explorer. You can even open a public mobile map package. Details regarding the URL scheme for Explorer are available in the Esri GitHub repository for explorer-integration. 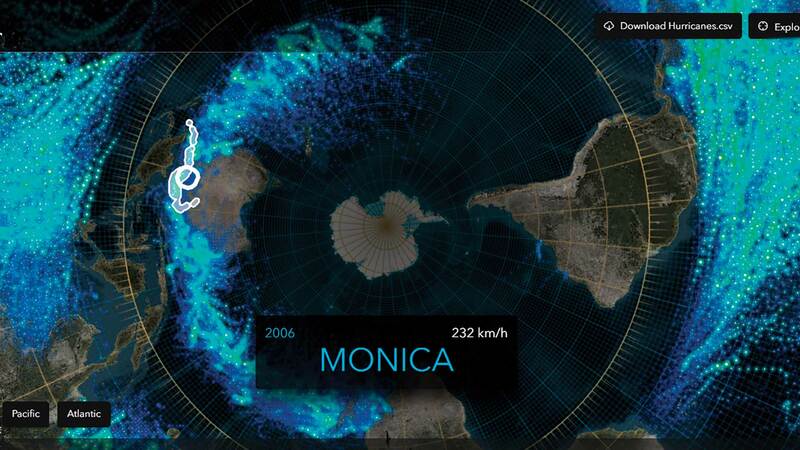 Open a web map using its itemid. Center at a given location. Initiate a new feature collection and specify attributes. Esri’s field apps have introduced a significant pattern of integration leveraging the URL scheme concept. Using this pattern, apps can work together to complete a variety of workflows with greater efficiency. Jeff Shaner is a product manager in the Applications Group. He has been with Esri for more than 23 years.